I recently had a client use the term "Imposter Syndrome" to describe her lack of self-confidence in her business. Immediately I thought, "Oh, I've TOTALLY been there!" I remember the internal struggle when I first decided to make my business about something more than just making pretty jewelry. I wanted to help people, to bring more joy and positivity into their lives. But my inner critic kept saying, "Erin, you are the LAST person who should be telling people how to be Positive." In many ways that was true. I had just come out of a terrible marriage, just finally begun healing from hypothyroidism and the associated chronic pain and depression. And I just wasn't ever one to use phrases like "Look on the bright side" or "Mindset is Everything." I'm a realist, and those phrases just didn't seem real to me yet. At this point in my journey I had experienced how having a positive outlook could totally change my day, but I was afraid to explain that to other people for fear of judgement. I just knew they would turn around and accuse me of being a hypocrite. They could point out of all the times in the past few years when I had thought the worst would happen and it did. They could remind me how a single disappointment would send me into a negative spiral for days. They could call me an Imposter. And yet I couldn't let go of my desire to help others. I couldn't let go of the amazing things I had learned about healing emotions FIRST, and thereby healing the physical and mental body. I just HAD to move forward even though I was scared. And in many ways I believe this whole scenario is what makes my message so powerful. I'm not a sunshine and roses, skipping through the forrest, permanent smile sort of gal. So when I tell you that Gratitude and Positivity can make a huge difference in your life, it's only because it's TRUE. Are you tired of feeling like nothing good ever happens? Are you afraid of changing your attitude and being called an Imposter by people who have known you during the "tough times"? Click here to sign up for my Free email series! Please don't be afraid! That's what I'm here for. To help you ease into a better, more positive outlook on life. To help you start influencing your future one baby step at a time. 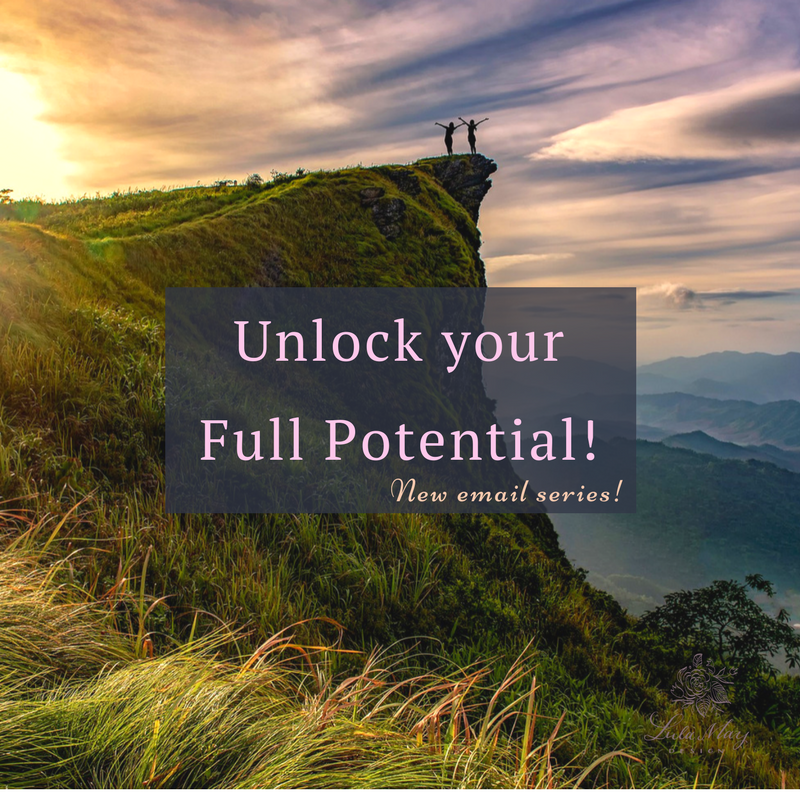 If you are ready to take that first step, you can sign up for my NEW Email Series, Unlocking your Full Potential. This free 4-part course helps you assess your current situation and take the first few steps to getting where you really want to go! And don't forget how important a support system is! The Creativity Club, my Facebook group, is full of wonderful people on this same journey. Each of us would love to help you feel comfortable and encouraged as you journey towards your unique definition of Wellness and Fulfillment. Come on in! The water's fine!